As some of you may know, the Toy Story franchise is not quite done. While another feature film will not be happening any time soon, what we can expect is a new short featuring our favorite characters. Said short will play before Cars 2 in the theaters and will be titled ‘Hawaiian Vacation’. 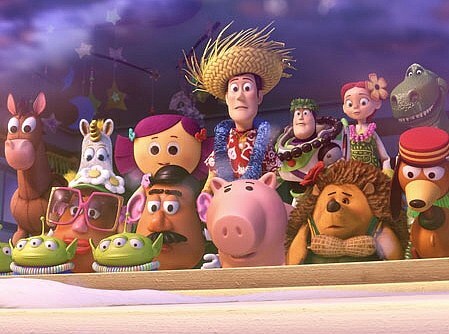 I absolutely love the Toy Story franchise – I thought Toy Story 3 was one of the best films of last year – so I love the idea of getting to catch up with the characters without stretching the great trilogy into more films. This clip along with some of the images released just make me smile and I can’t wait to see the whole thing, no matter how short. ~ by CDWB on March 2, 2011.